Mark McGregor is Signavio’s Head of Strategy, bringing a wealth of knowledge and experience to the role. Below is part two of our extensive interview with Mark, continuing from part one last week. Here, we consider what makes for a successful enterprise-wide business transformation initiative, the difference Signavio can make to the way organizations approach their work, and the possible future challenges coming up over the next year. Just over two years ago, Mark McGregor joined the Signavio team as Head of Strategy. In part one of our interview about BPM strategy, Mark discussed his thoughts about the past and future of BPM, the changing nature of the market for BPM tools, and the importance of effective customer focus using customer journey mapping. Part two of the interview continues below. 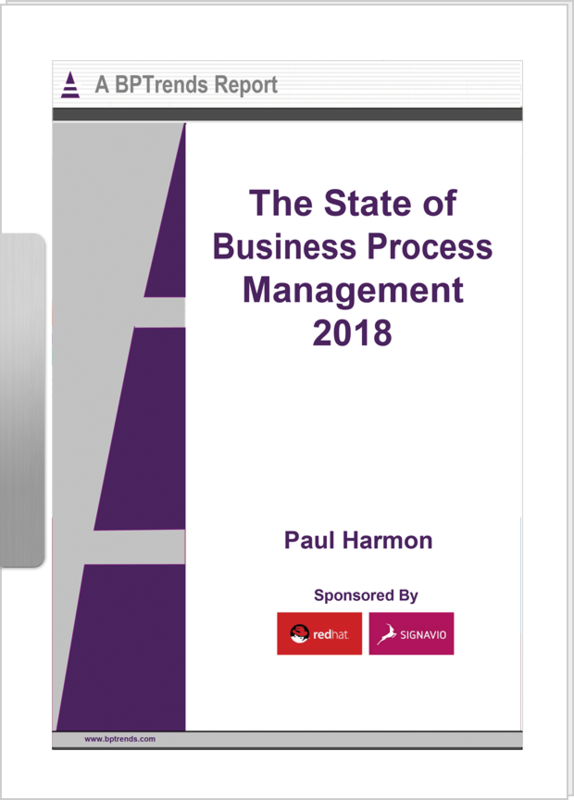 Sticking with the broader industry issues, in your opinion what differentiates a successful enterprise-wide initiative from a less than successful process project? Wow, I am not sure that I can answer this question properly in the time we have available! But, I will try and make some suggestions. To start with, let me use an example I used to use in the heyday of the so-called BPM(S) boom. I watched company after company buy tools, train experts, and then struggle. I used to call them “accidents looking for somewhere to happen”—in other words, tools, technologies, and people were invested in before a problem was identified correctly. Without a clear problem statement, these businesses would go chasing around looking to fit problems to their solution. Of course, there were others who were successful even then, usually people who had identified a definite problem, but then before solving it stepped back to look for other issues. Only then did they consider what tools might help not just with a single problem, but with a broader range of challenges. Other examples that I have seen and worked on over the years involved management actually managing. In my experience, the higher up in an organization the buy-in and commitment goes, then the greater the overall benefits can be. The other element, which again I have already touched on, is the ‘wisdom of the crowd’. Organizations that are more successful, particularly in the long term, place a greater emphasis on getting broader groups of their business involved and engaged. In this way, success becomes a ‘do with’ process not a ‘do to’ process. I suggest that this method of bringing people along with the transformation is the single biggest difference, but means sharing information more widely in your organization, and then listening to the feedback and ideas you get from people. Remember, it is hard to resist the changes you suggest yourself! I think one of Signavio’s customers, Zespri, put it best when they say, “Process is now part of our DNA.” For me, there could not be a better definition of what constitutes enterprise-wide process success. Turning now to Signavio specifically, what do you see as the main benefit for organizations choosing Signavio, and what makes Signavio special? I have worked with and for many vendors, some of whom have grown organically and others through acquisition, but however they grew, to my mind they lost their way. Some were led by strong personalities (business or technical) who tended to surround themselves with people who agreed with them. Others lacked the courage of their convictions to switch direction as the winds changed. This is what I see as different at Signavio, and I think if it’s not unique, then it is pretty special. As Signavio has expanded, it has brought on board people who know what they are doing, many from outside the industry. Our CEO has given those senior staff their head and done nothing but back and support them as they try innovative ideas, and the results show it is working spectacularly. I think it is fair to say that I don’t think there is any comparable growth in the process modeling sector, either by customer or by revenue. The secondary point here is that, despite all this expansion, Signavio invests heavily in programs to ensure that the same small company feel exists, even now with over 280 people spread across seven locations around the world. As a customer, this equates to what I think is the most dedicated team of specialists whose prime focus is to deliver success to customers. Some people talk about going “the extra mile” for customers, at Signavio I see this is not the exception but the norm. Such dedication is the real differentiator and what makes Signavio special, not just for those who work there but for the tens of thousands of people around the globe who rely on Signavio software. I guess I should also add here that the Signavio Business Transformation Suite is also a major benefit for customers. We understand that not every organization needs to eat a whole elephant at once—some want to work in more manageable portions! However, over time, and as process becomes part of an organization’s DNA, they will need to build out their own solution. If they are a Signavio customer, as they do this they will find that whether they start with modeling, process discovery/intelligence, or automation, it is easy to add in the other components when they need them—as opposed to when the vendor wants to make a sale. Looking to the future, what do you think are the biggest business challenges to overcome in 2019? This is a multi-faceted question, but trying to keep it simple, I think that getting people more engaged in innovation, helping people understand that the old ways of business are in many respects already gone, or at least going. Organizations need to bring their teams along as the face what for many will be a totally uncertain future. Building an engine for change that enables organizations to build resilience, then understand and adapt faster, is a challenge. Process is the key to that, and when combined with creating new processes or realigning existing ones through the eyes of the customer, process will decide who succeeds and who fails. Helping champions in the existing customer base as well as identifying champions in new customers, should be a quest for Signavio team members over the coming year. Helping those people promote and sell how process is not a cost item but a value creation item is not easy, but I have seen it is something people at Signavio are passionate about and that has to be a good thing. Many organizations, whether they realize it now or not, are going to need the help that Signavio can provide, and need that help quickly. 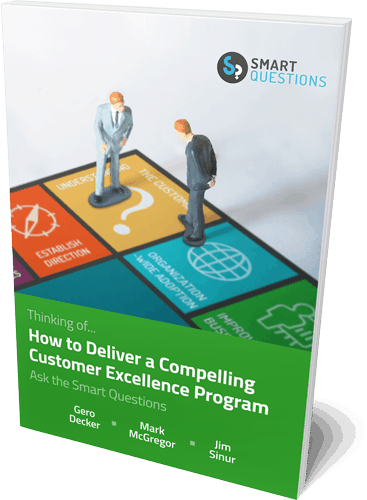 Finally, from a purely personal point of view, the biggest business challenge to overcome is to get more ‘Operational Excellence types’ to understand the value and urgency of connecting their work with that of their colleagues in old-style customer experience teams. If you’re interested in building a process culture within your organization, and supporting your entire team to work together, Signavio can help. You can download a free resource to understand Why Collaboration is Key for Successful Business Transformation, or sign up for a free 30-day trial today to see how Signavio can help your business take advantage of current opportunities, and plan for future challenges.